Paying by SMS has grown from nothing to a billion dollar industry in just a few years. It's accessible, simple and secure. No credit cards, no bank accounts. A mobile phone is all you need. Here at RPGStash you can pay by SMS and receive your order within a matter of minutes. We support payments from many countries worldwide.We will guide you through the payment process below. Please note that it's also possible to pay by phone call. You can access the instructions for phone payments here. 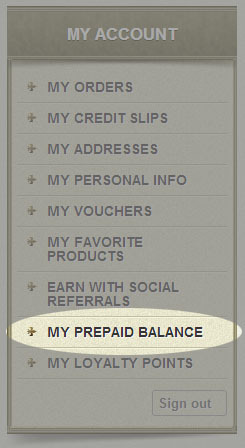 Once you are registered and logged in, click on "My prepaid balance" in your account panel in the right sidebar. On the next page, select either Allopass or ZayPay as payment option. Then choose the amount you want to top up with and follow instructions to complete your SMS payment. It typically takes less than a minute. Once the payment has gone through you can choose to make another top up or start placing your order. The amount of money you can send in a single SMS / text is limited so you may have to send several payments in a row before your prepaid balance is high enough for your planned order. Please observe that the amount you actually have to pay is higher than the amount you receive on RPGStash. This is because the phone companies charge very high fees for every transaction leaving us with only a fraction of the original sum. Once your prepaid balance is sufficient it is time to place your order. Navigate to your store of choice via our top menu and locate the product you want to buy via the categories at display in the left sidebar. Then add the product to cart, move cursor unto cart which is situated in the top right of website, and click check out. Please observe that minimum order is 4.95 USD. Once in check out, enter any relevant delivery information in the designated field and choose prepaid balance as payment method.